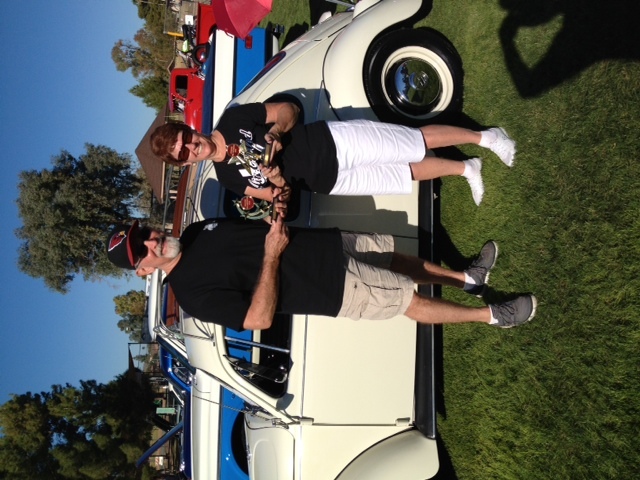 A big congrats to Ron Waller from the 1967beetle.com community. Our timing lights are pointed in your direction! On Saturday November 8, 2004, the 11th Annual “Hearts of Valor Car & Motorcycle Show” was held at the Ahwatukee Community Center (Phoenix) to raise funds for wounded veterans. 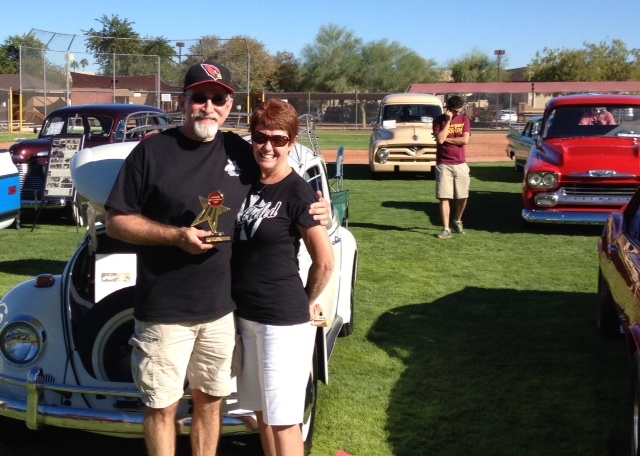 Ron and Diane Waller took first place in their division, 1951 – 1969 “stock” automobiles. In addition, they won the award for “Sponsor’s Choice,” which was given by Discount Tires for “show favorite.” There were more than 70 cars and motorcycles on display. Their 1967 VW is the fifth the Waller’s have owned which included a 1960, 1968, 1971 and a 1972. 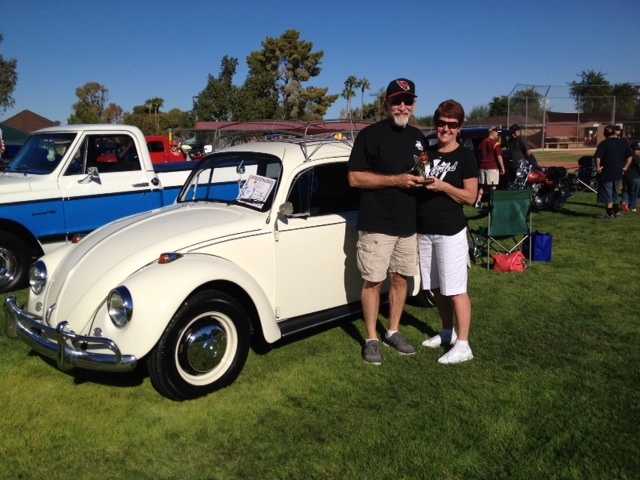 Earlier this year their car also won 1st place at the annual “Bugs-O-Rama” which was held at the Wild Horse Pass Raceway in March. Waller is a veteran himself, serving as a sergeant in the Marine Corps from 1967 – 1971. Congrats again! Thank you for your service, Ron. Semper Fi. Sam, you will have to send me photo’s of your car. I would like to see it. 1967 – 1971 were difficult years and a long time ago…. But thanks for the nice comments about he car. Semper Fi Ron! USMC Sergeant E-5, 1/66-1/70! Congrats to both of you on your great car! Congratulations Ron! And thanks for your service to our country! Visit our fellow Vets on Flickr.com, Ron……. My Dad served at the same time as you. Both SGT. Thanks for the nice comments. Diane and I really appreciate the thoughts. We really enjoy being members of the “exclusive” 1967’s! I hate to brag, but we also won three door prizes! Other people started to hate us… really. On a good note, we also met three other VW owners. A 68, a 69 Convertible and a 1965 Van. That was a treat for us because we could not find any other local VW owners. We may just have to start a club.